You are here: Home / Dental Bonding / Which Type of Dental Bonding Procedure Is For You? There are two types of dental bonding procedures which your dentist can turn to: the direct composite bonding procedure and the adhesive bonding procedure. Direct Composite Bonding. The term “direct” in this type of dental bonding procedure involves the adhesion of the composite resin material on the surface of the affected tooth and then molding this material immediately on the tooth in order to improve the structure of the tooth. One advantage of the direct composite bonding procedure is the fact that the treatment can be done with just one visit to the dentist. Adhesive Bonding. 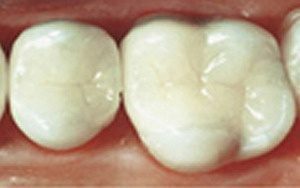 The difference between direct composite bonding and adhesive bonding is the fact that the material would have to be molded ahead of time before it being attached to your tooth and then having it light-cured in order to fix the piece into place. While adhesive bonding gives out a cleaner outcome because of the fact that the dental piece is crafted by a laboratory technician with the help of a replica of your teeth. On the other hand, adhesive bonding would require at least two trips to the dentist — the first one for the crafting of the dental work, and the second one would be for the bonding of the dental work into place. If what you want is expediency, then you can go with the direct composite bonding procedure. This procedure takes the fastest to be completed because your dentist does all of the work during just one dental appointment. If what matters most to you is that the work done is thorough and of high quality, then you need to go with adhesive bonding instead. While it would take you a longer period of time to have the procedure completed, the fact that the work done is more accurate will be worth the wait.